An exclusive whisky ownership opportunity. How would you like to become part of 7K’s story? You can own your very own barrel of a bespoke, Tasmanian single-malt whisky, handcrafted out of 100% Tasmanian Ingredients. In 'adopting' a barrel of our whisky you will be supporting the distillery on its journey to create enjoyment through its spirits, events, and perusing our longer term dream in building an amazing venue where our spirits can be savoured. 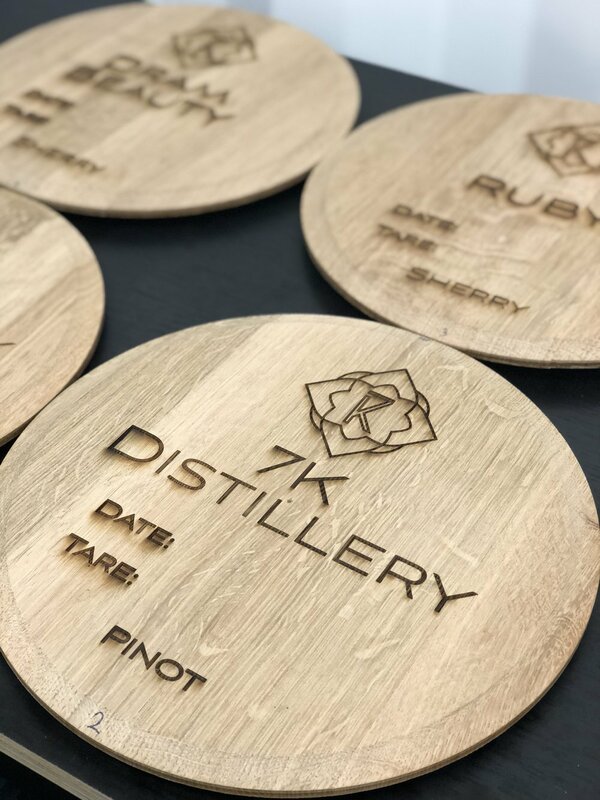 After filling out the Application Request form at the foot of this page, 7K Distillery will send you a barrel adoption application, which includes the full terms of adoption for your perusal—we will gladly answer any questions you may have. We receive and process your completed Barrel Adoption Program paperwork, and we begin preparing your barrel to your specifications. We contact you to confirm the intended fill date of your barrel, and the initial payment ($2450) is due. After payment is received, you will receive an invitation to the distillery at Lodge Hill, Brighton, to fill and name your barrel. everything you’ll receive what we need from you to start making your very own Tasmanian whisky! Fill out this form, and you’ll be on your way to your very own barrel of Tasmanian whisky. Thank you! We’ll be in contact with you shortly. Keep an eye out for your application form!